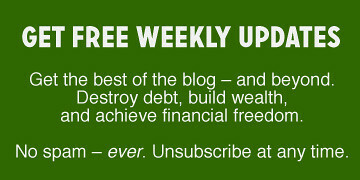 Over the past week, I've shared two terrific retirement planning tools. First, I explored the pros and cons of Personal Capital. Next, I looked at OnTrajectory, which is the best traditional retirement calculator I've found. Today, I want to talk about NewRetirement. Since I discovered it two years ago, NewRetirement has become my favorite tool for retirement planning. I like NewRetirement because it offers amazing levels of customization. Plus, it explains its assumptions and offers ample information about every subject it tackles. And it does all of this without ever becoming overwhelming. It's comprehensive and customizable, yet clear. Most importantly, NewRetirement is more than just a retirement calculator. When I say it's a retirement planning tool, I mean that. NewRetirement offers three levels of service. At the highest level, you can pay NewRetirement for personalized advice from a Certified Financial Planner. Unlike Personal Capital, NewRetirement won't pester you over and over to use their advisors. But the service is available for those who need it.